According to reports coming from The Chronicle today, Newcastle United are already looking into a replacement for their much sought-after Senegalese striker, Demba Ba. The reports suggest that Graham Carr and his highly talented team of scouts have already drawn up a list of potential striker replacements, which apparently includes two of the most prolific marksmen in European football at the moment. With the news of Demba Ba’s release clause of £7 million being revealed in January, by the Tottenham manager Harry Redknapp, many of the top European clubs will be circling around the front-man come July. Alan Pardew has already expressed his desire to tie him down to a new contract, one without a small release clause, but his recent poor form and disappointingly uninspired attitude during the matches, has resulted in many people thinking he might want to leave in the Summer, especially if the apparent interest from his boyhood heroes Paris Saint-Germain is genuine. He is currently being outplayed by his strike partner, Papiss Cisse, and it could be one of the key factors in his decision to leave in the Summer. With the club heading towards European qualification at the end of the season, it is essential we sign up a physically strong and consistent front man to compliment Cisse’s attacking threat. And it appears that Newcastle’s interest in french players is beginning to cool and Pardew and his backroom staff are now, apparently, turning to Hollland instead and the Eredivisie; Herenveen’s Bas Dost and FC Twente’s Luuk De Jong. There haven’t been many players this season who have kept up with Cisse’s goal to game ratio, but, outside of La Liga, Bas Dost is the next most prolific striker, bagging an incredible 25 goals in 21 starts. Though what is more important for Newcastle is his style. He is a goal poacher and even has heading capacity to go with his aerial threat at a height of 192 centimetres. While Papiss Cisse and Hatem Ben Arfa have been scoring goals from seemingly impossible positions this season, it’s also important to have players who can get themselves into dangerous positions and finish efficiently (a poacher)- something which has seen attackers like Clint Dempsey (16), Daniel Sturridge (10) and more recently Nikica Jelavic score countless goals for their respective clubs. Also in the frame are FC Twente striker Luuk De Jong – scorer of 21 goals this term – and long-standing target Crystal Palace forward Wilfred Zaha, who could quit Selhurst Park this summer. 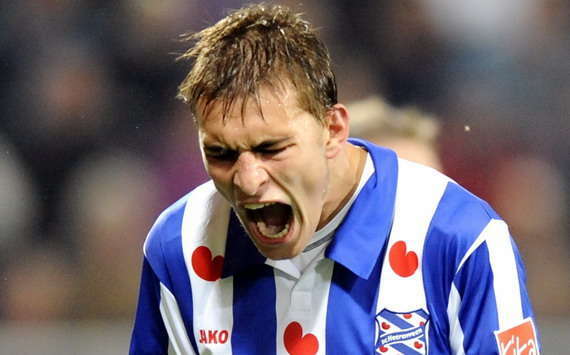 However, it is Bas Dost who is the most compelling target. Despite being only 22 years of age, he’s already proven himself as a consistent goalscorer and, because of his form, the Dutch club, which finished in 12th position last season, is now challenging for the title. He’s still young and, as a result, is learning and developing as a player all the time. Therefore, I believe he would be a perfect fit into the similarly fast-improving club. Though Aston Villa and Liverpool are reportedly interested in the 6ft 5in powerhouse, European football is apparently on his wishlist and Newcastle could certainly offer him that. Though Liverpool have already qualified for the Europa League next season, through the Carling Cup, it seems as though Newcastle have now surpassed the Merseyside club in quality.